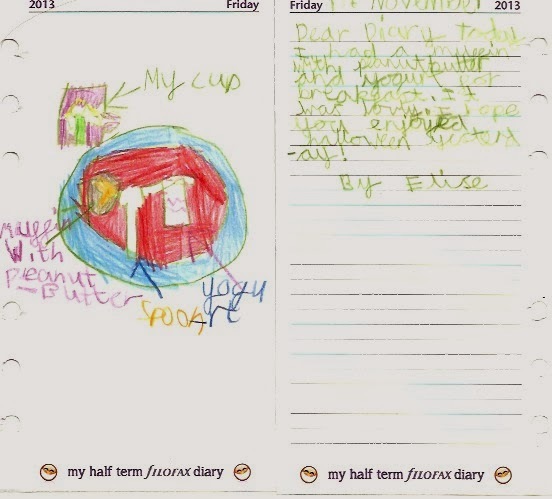 Recently I was asked to take part in the latest Filofax blogger challenge. The challenge was actually more for my eldest daughter than myself. 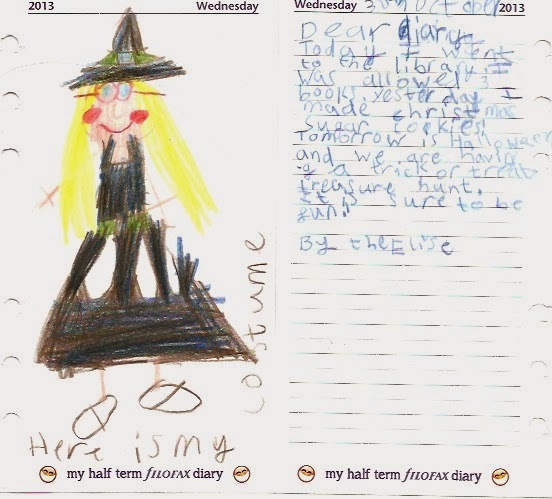 She had to keep a diary during the October half term using the Springboard for Children charity organiser that was being sent to her. 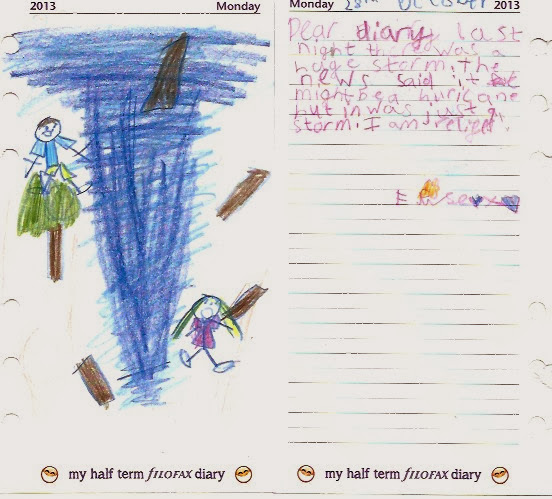 This challenge suited ELise to a T because she loves writing in her own diary. 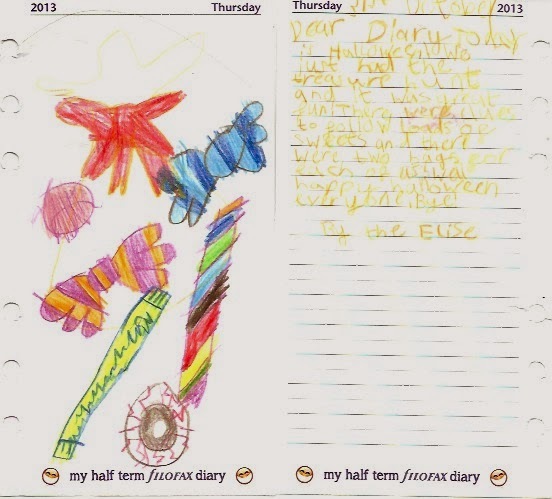 When we received the organiser we also received some lovely chunky pencils for Elise to use. The half term diary that was inserted in the Filofax Springboard organiser had a page for writing and a page for drawing a picture for each day of the half term break. Elise was free to make it as bright and colourful as she wanted. 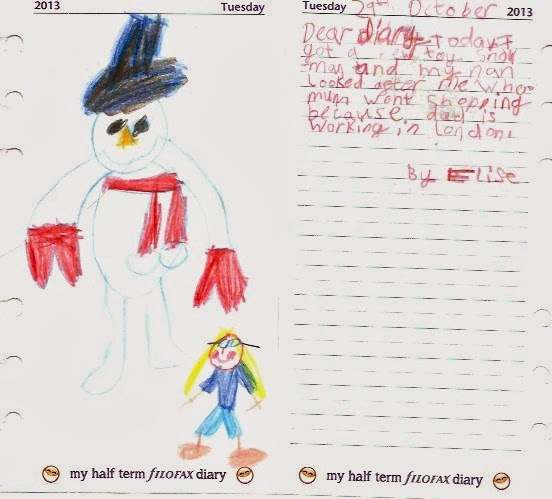 Here are Elise's diary entries about what she got up to during her half term break, a couple are slightly harder to read because of the colour of pencil that she used. Eight other bloggers and their children also took part in this challenge, you can see their diary entries here, all of them are really great to read. Filofax have now put one diary entry from each child up on their Facebook page, whoevers entry receives the most likes by the 2nd December will win a collection of Springboard organisers to give away on their blog, so why not go and take a look and like your favourite. Disclaimer : I was sent the Springboard organiser free of charge for the purposes of this challenge.